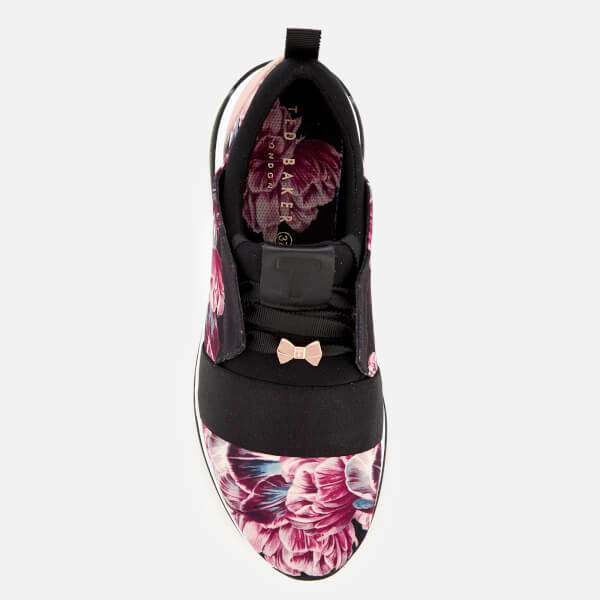 Women’s ‘Cepap 2’ running-style trainers from quintessentially British fashion label Ted Baker’s footwear collection. 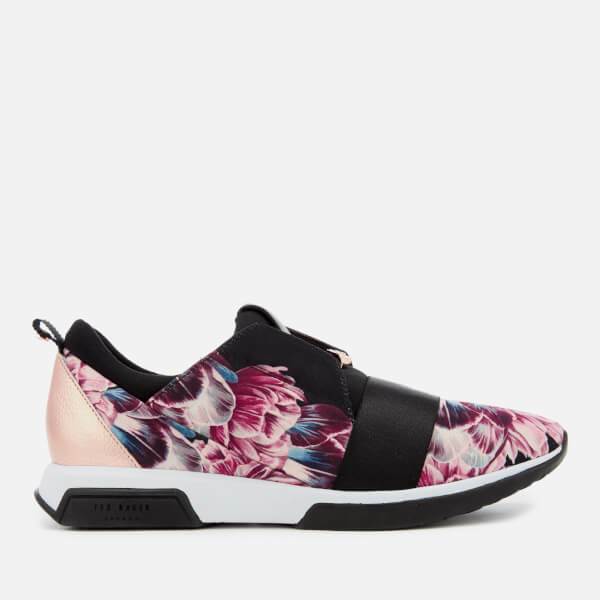 Boasting satin-like uppers adorned with an enchanting floral print, the sneakers are accentuated with a metallic leather heel cap and elastic straps across the vamp. A round toeline and integrated tongue and collar insert with cushioning for optimal comfort feature. Set upon a two-toned EVA midsole with a rubber overlay for grip and traction, the low-top lace-ups are detailed with decorative rose gold bow embellishments to the lace and heel tab. 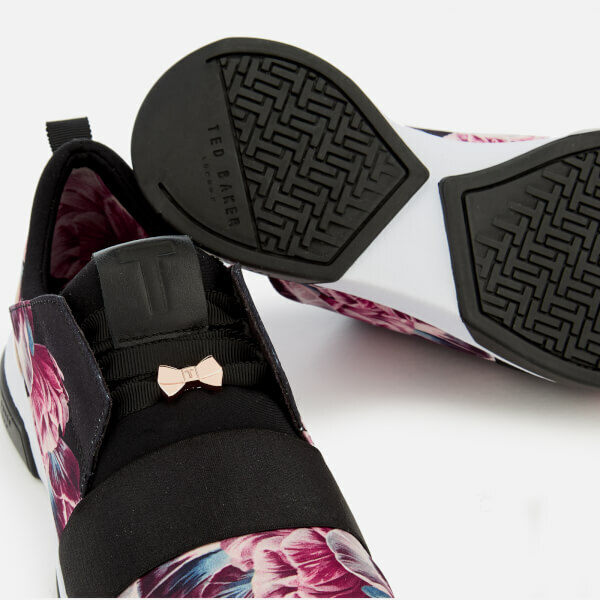 Finished with a ‘T’ embossed tongue tab and signature Ted Baker branding throughout. Upper: Textile/Leather. Lining: Polyester. Sole: EVA/Rubber.